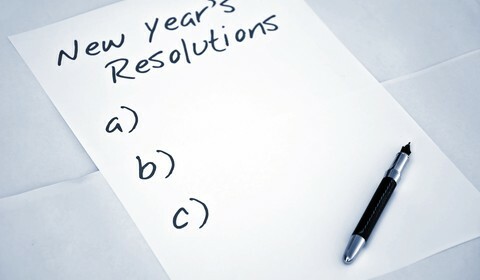 Do you make New Year’s resolutions? According to Statistic Brain, more than 40 percent of Americans commit to change something in their lives. The New Year makes many hopefuls for a fresh start. This is reflected in the types of resolutions people make. People make time for the most important things in their lives. Therefore, reaching your goals, resolutions or priorities is simply about 1) deciding what is truly important, 2) focusing on the things that will move you toward goal completion and 3) reducing competing activities. To illustrate, consider a resolution Polly made and her subsequent journey to lose weight and get healthy in 2017. Making the same resolution each year and breaking it within the first few days is probably a sign that the resolution isn’t a priority. You either didn’t really want it or weren’t ready to do what was needed to accomplish the goal. Certainly, Polly had set resolutions before to lose weight and get healthier. Like many, she would start the new year off exercising a bit more and eating less. However, within days, she’d find an excuse to skip the gym or have that extra glass of wine. It wasn’t that she didn’t want to lose weight and become healthier. She did. However, she wasn’t ready to do what was necessary to get it done. It wasn’t a priority. That changed in December of 2016: Polly decided that 2017 would be different and that her health would be her priority. Focus on a narrow group of things that will move you toward your goal. The late radio speaker and author Earl Nightingale said that “The mind moves in the direction of our dominant thoughts.” Therefore, Polly was focusing on the only two things that she believed would move her toward her goal — exercise and calorie control. That small number made focus easier. She treated those two points as a focus — and as promises to herself. Her second focus was to cut calories. She had done a bit of research and determined a total daily calorie amount she believed she could live within and maintain her health, but still, lose weight. She had decided against cutting any foods from her diet; trying to cut all sugar or carbs in the past hadn’t worked well. Instead, Polly decided to limit portion size. She downloaded a free calorie counting app to help her keep track of her food intake. She also began logging her food each time she ate anything, making sure she did not exceed her calorie goal. This became a maniacal focus. If you add, you will need to subtract. Most of us are good at taking on new tasks. It’s easy to say yes to serving on a committee or board, joining a gym or taking the kids to new activities. But how many of us delete an activity? Subtracting is harder, but necessary: Again, we only have 24 hours each day. If you are adding activities such as exercise, the logging of food, more cooking or shopping, something else will need to give. It is unreasonable to believe that you can add an hour or two of daily tasks to your schedule and have nothing else change. To determine what you should cut, start by tracking your activities for a week or two. This will give you an idea of how much time you spend on different types of tasks. You may find that you can eliminate some tasks that don’t add joy or value to your life, thus freeing up time for more important items. Similarly, you may choose to combine activities to improve efficiency. As an example, you might listen to books or podcasts while running. Better yet, like Polly, you might record your favourite shows and play them while exercising. This combines a reward with a less pleasant task. Polly has kept the promises she made to herself to become healthier this year. As she says, “Promises we make to ourselves should be given as much importance as those we make to others.” She still logs her food and runs every day. She’s even increased her exercise regimen to between 45 and 60 minutes each day, and she’s raised the tension on the elliptical zero to nine. The result? She’s lost 45 pounds! And she feels terrific!.